Have you ever tried to put together a flatpack canvas at 11pm on a Sunday night? 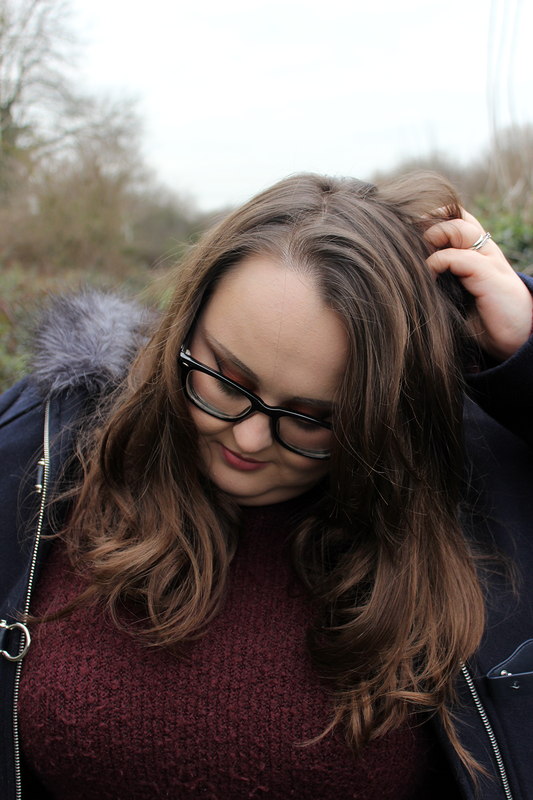 When you’ve spent all day layered up like you’re in the antarctic because one of you has left the heating controller somewhere in the house and lost it – the last thing you wanna be doing is rolling around your bedroom floor swearing, and sweating into a canvas frame that just won’t fit together. It may have been the last thing I wanted to do, but it needed to be done. I just couldn’t look at the blank space on our bedroom wall above the dresser for a moment longer. The cobwebs were looking far to unslightly by now. Enter Photowall who kindly offered to send me a canvas of my choice in exchange for an honest review. I hopped it to their website roughly a week ago and put in an order for one my favourite photos from our wedding. I ‘ummed’ and ‘ahhed’ over my choice of picture for a good few days, but in the end I finally settled on a shot taken right as we left the chapel in a shower of confetti and grasping luke-warm glasses of Prosecco – it’s one of my favourite candid photos from our entire wedding day. I found the ordering service for Photowall pretty easy to use. 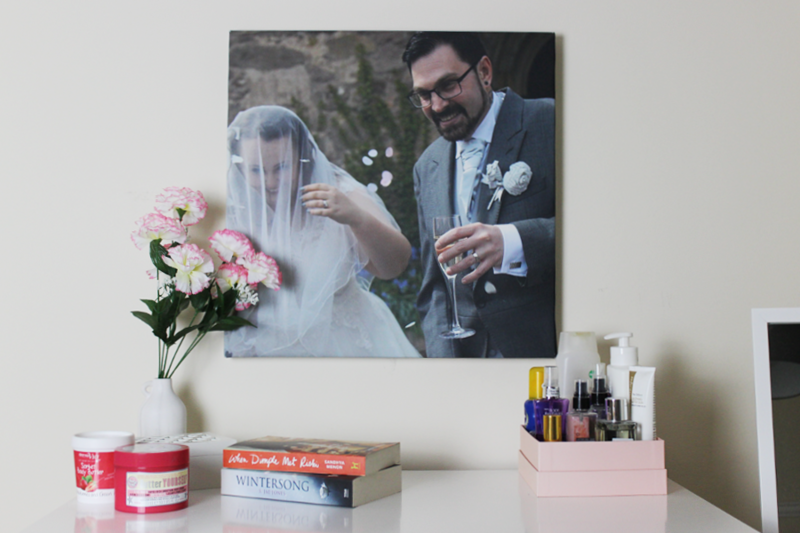 The upload and crop feature is fantastically simple for anyone to use, from grandparents to grandchildren who may want to choose a canvas-sized print of their favourite photo to hang on their wall or to gift to someone else. I get the vibe that this website is a great tool to use to print a shot from a studio family portrait and then hang in pride of place in your home. Who wants to be going into a professional printers on the high-street and spending far too much on a canvas anyways? That’s what the Internet is for! The prints and wallpaper selections are quite cool too. I did have a good browse around because I was thinking hard on choosing a print for my step-daughter’s bedroom instead. At the time I couldn’t find anything she would like, she’s kind of at the age where she’s too old for toddler-themed decor and then too young for the tween market. 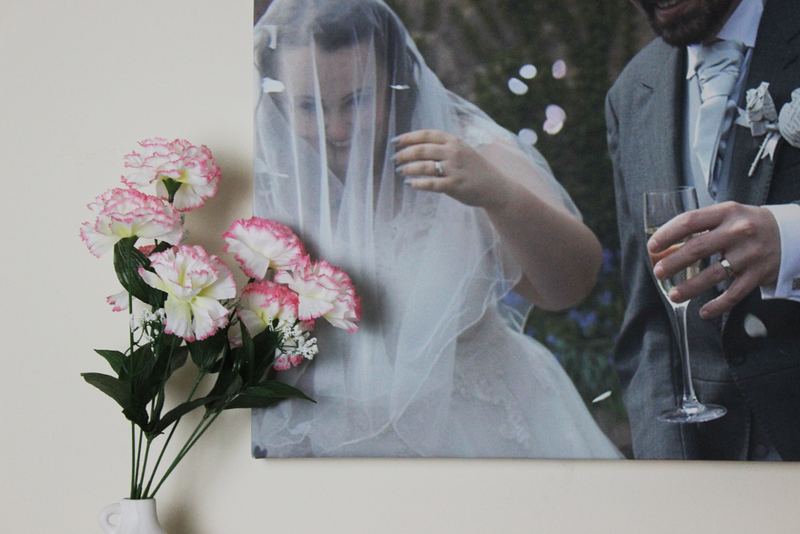 So, I just went for a print from our wedding instead – what’s the point of taking so many photos on the day if you can’t put them on display anyways? But, back to my flatpack woes. After shedding my hoodie and then lolling about like a beached whale for a further fifteen minutes I came to realise… I hadn’t stuck the frames onto the canvas material the right way – no wonder I was struggling to get the damn thing to go together. Typical! I’m one for vaguely reading the instructions before I put something together and this almost-always ends in error. I’d just steamed on ahead once I’d unboxed this canvas and wooden frame and predictably found myself in a muddle but once I actually read the simple instructions that came printed in the box it wasn’t so hard to put together. Within ten minutes I had a medium-sized canvas ready to hang in our bedroom. 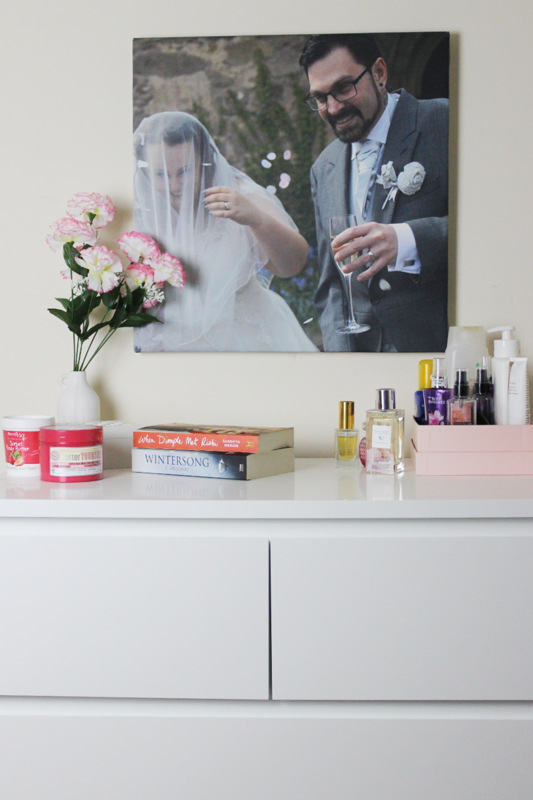 I went for a smaller canvas rather than the huge ones you can order because I just didn’t have the space in my home for something so large. I do recommend getting a ruler to hand or a measuring tape out when you’re ordering because even though you can choose inches or centimetres to size up your canvas – everything looks smaller online. 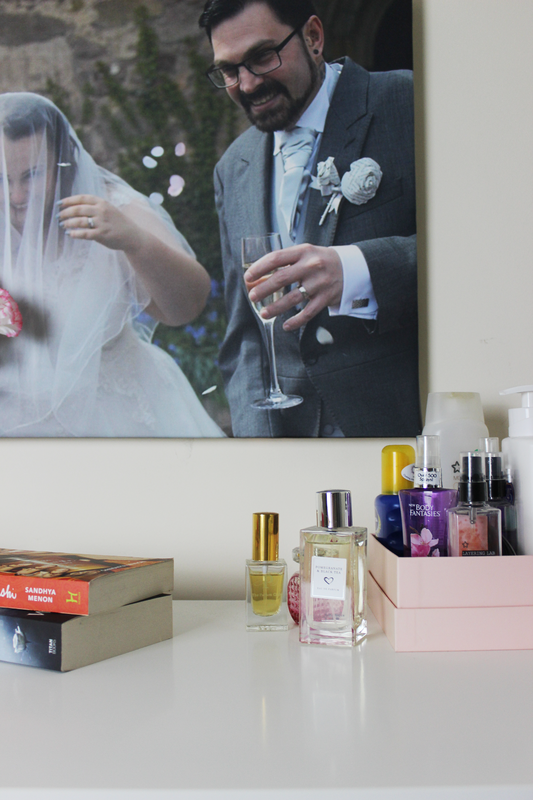 This canvas photo looks lovely when hung up and I’m quite impressed with it’s quality – as well as it’s speedy delivery! I’ve already recommended Photowall to family members for their future photo prints. Have you seen anything that catches your eye? If you’d like to make an order form Photowall.com I have an exclusive offer for my readers of 20% off orders with code: MelEaglestoneCampaign2018 (valid until 4/3/18). Let me know what you’ve chosen in the comments.